Rehrig Pacific Company, a leading manufacturer of reusable packaging systems; plastic pallets; reusable transport and distribution crates; and carts and containers for grocery retail, material handling, food and beverage, agriculture, and recycling and waste industries is pleased to introduce its new solid plastic divider sheet for the rigid-container industry. 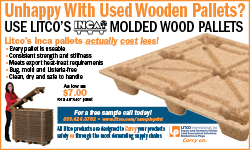 This product complements Rehrig’s existing plastic bulk pallet and top frame products, now offering a complete package to the rigid-container industry. Taking nearly 100 years of design and manufacturing experience and applying it to a highly technical plastic sheet allows this new divider sheet to work seamlessly in automated systems by matching the required specifications for coefficient of friction, stiffness, flatness and elasticity. Rehrig Pacific Tier Sheets are designed specifically for the metal container industry and are the ideal replacement for fiber or corrugated sheets. These reusable tier sheets can be customized to meet your exact requirements and a number of standard and FDA compliant colors are available. 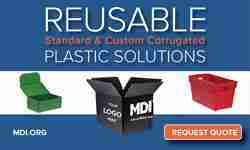 Customized printing is also available to add logos or product specifications. Rehrig Tier Sheets won’t absorb moisture that can harbor bacteria and other contaminants. 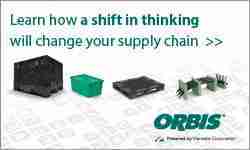 They can be cleaned and disinfected to deliver product protection and then reused for immediate cost savings. These sustainable products are made with a 100 percent recyclable proprietary co-polymer polypropylene. 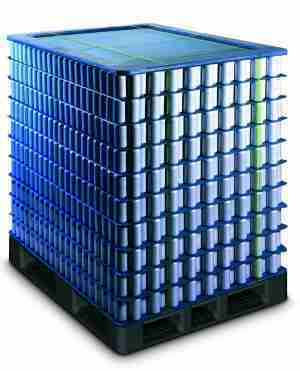 Rehrig Pacific can also develop a customizable buy-back program that insures greater value for used rigid-container tier sheets. For more information about Rehrig Pacific Company and its full line of products for the material handling, food and beverage, agriculture and recycling and waste industries, visit: www.rehrigpacific.com. Rehrig Pacific has been helping customers find better ways to transport and store their products for nearly 100 years. Founded in 1913, Rehrig Pacific has grown to become a world-leading plastic pallet manufacturer and container manufacturer serving the agriculture, bakery, beverage, dairy and materials handling industries. It also manufacturers roll-out carts, recycling bins and commercial containers for the waste and recycling collection industry. Headquartered in Los Angeles, Calif., Rehrig Pacific serves customers with manufacturing and service locations throughout the United States and Mexico and sales offices in South America and Europe.